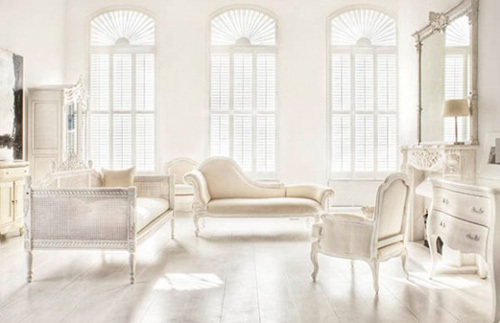 With different tones of White and Cream, you can't help but want to relax all day while feeling clean and fresh. 1. This color combination creates a cozy, inviting atmosphere with lots of light! 2. The elements of this room draws attention to the french furniture, creating a classic understated look. 3. 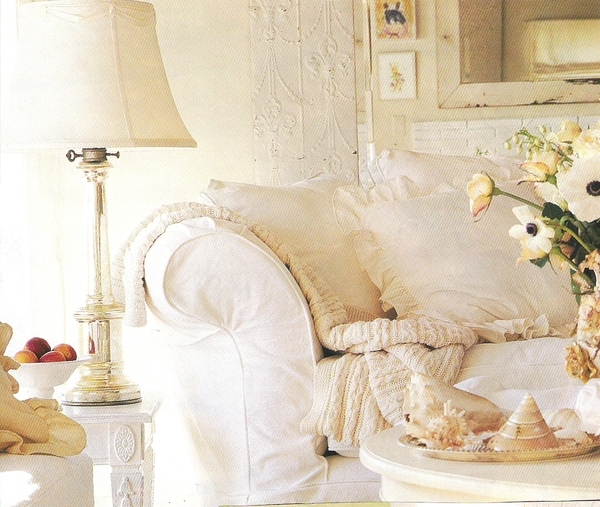 The white painted wood in this bedroom generates a rustic, alluring feel. 4. Incorporating darker wooden floors with a neutral color scheme draws attention to the amount of light, forming a cheerful room. You can't help but want to relax in this sunlit bathroom! 5. This kitchen could not look more crisp! The light granite and white cabinets are perfect for sweet summertime! 6. One of our favorites! The rug and mirror added with the darker wood gives contrast yet goes great with the white and cream! Rustic yet fresh!